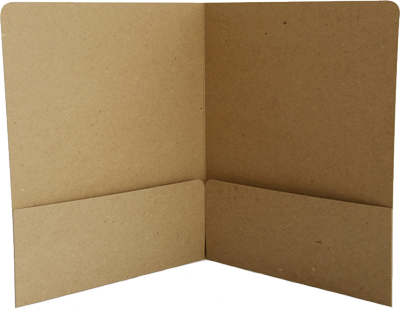 Cardboard Folders: These folders meet your presentation requirements without compromising conservation and resources which are important to responsible businesses. We can supply ring binders and folders manufactured from pulp and fibre board sourced from sustainable, managed plantation forests grown in New Zealand. Our board is 'green', un-bleached and produced from our own New Zealand sustainable forests. It is fully recyclable. Polypropylene and PVC Folders: Present your printed product in your own persosnalised ring binders. No other product in the market place allows for interchanging content so easily. Binders are available in a wide choice of size, colour and ring size. There is also a wide range of finish options to suit every need . We offer binders to hold content A2 down to A6 and our ring mechanisms are designed to hold from 10mm to 60mm, or greater, of content punched two, three or four holes. We can have the folders screen printed or foiled directly onto the surface of any of our binders; or with our vinyl binders we can weld an insert supplied by your printer - or ours - to add that full colour professional finish. Pockets can be added for numerous applications such as holding business cards or CD's.